Temple Dinsley is a vibrant and activity-filled 4 day Suzuki Camp set in the sanctuary of a girl’s boarding school within the rolling hills of the Hertfordshire countryside. 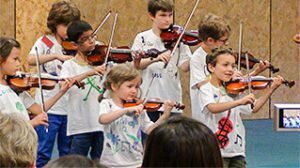 The course is open to children (and their parents) from the age of 3 who play string instruments or piano and learn with a Suzuki Teacher. The course has now been running for 43 years and this year marks the 34th year at Princess Helena College. It has amongst the staff some of the most talented and able teachers of the Suzuki method in the world. 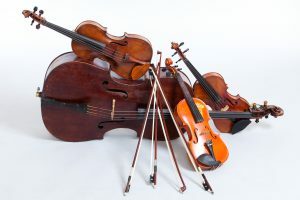 In addition to individual and group tuition, the course offers organised games, creative arts, Dalcroze, orchestra, improvisation, sport facilities and a large outdoor heated swimming pool. For parents we provide inspirational talks and organised music making in the evenings. Accommodation is offered in comfortable rooms within the House, or the more adventurous are welcome to set up camp in front of the House. The course is often fully booked by the end of May, so we would recommend early booking. If you have any questions, contact Hannah Biss or Silvia Crusellas via the Contact Us page.